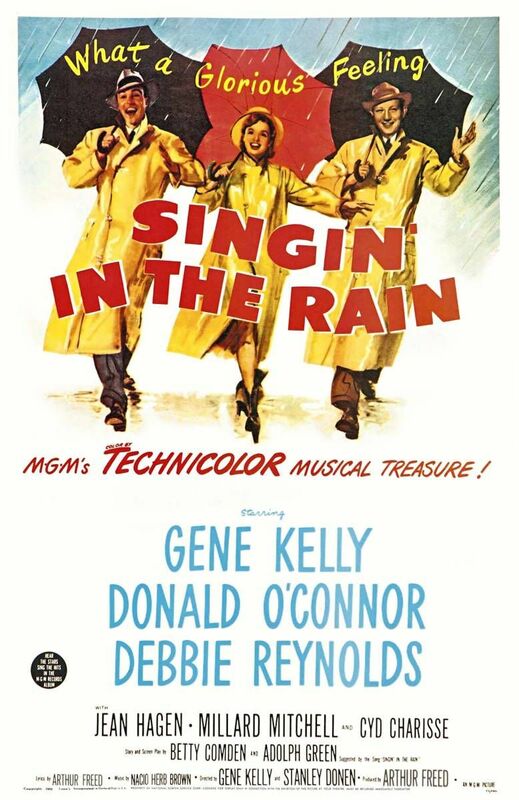 During the advent of talkies in Hollywood, a conceited movie star (Jean Hagen) with a terrible voice struggles to make the transition; meanwhile, her costar (Gene Kelly) falls in love with a young ingenue (Debbie Reynolds) who begins dubbing Hagen’s voice, invoking Hagen’s wrath and jealousy. 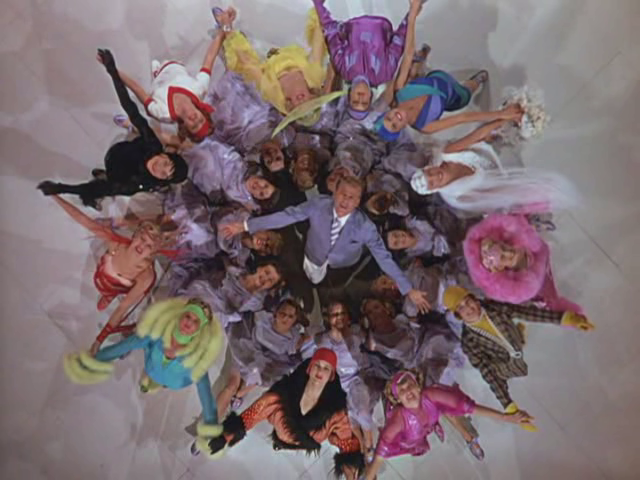 Peary argues that this “most uplifting of films” remains “one of the great joys of the cinema”, and is the “ultimate musical for lovers of the film medium”. 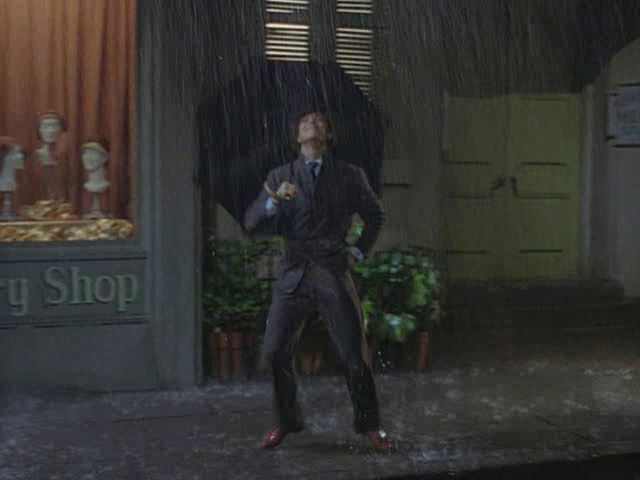 He notes that “not only do innovative directors Gene Kelly and Stanley Donen use ‘film’ (color, lighting, editing, special effects, camera placement and movement, and sound) to enhance the fabulous songs and dances, but, as scripted by Adolph Green and Betty Comden, [it’s] also one of the best, funniest, most perceptive and informative pictures ever made about the movie industry”. He notes that “Green and Comden beautifully spoof numerous Hollywood types: suicidal stuntmen who’ll do anything to be in pictures; starlets with pretensions of being serious thespians who will jump out of cakes to be part of show biz; brainless gossip columnists; tough directors who think the set is a battlefield; smug diction coaches; confused producers; flaky music coordinators; cocky actors who know the importance of ‘image’ to stardom…; and stupid, conceited actresses who believe their own press”. The gamut is covered! 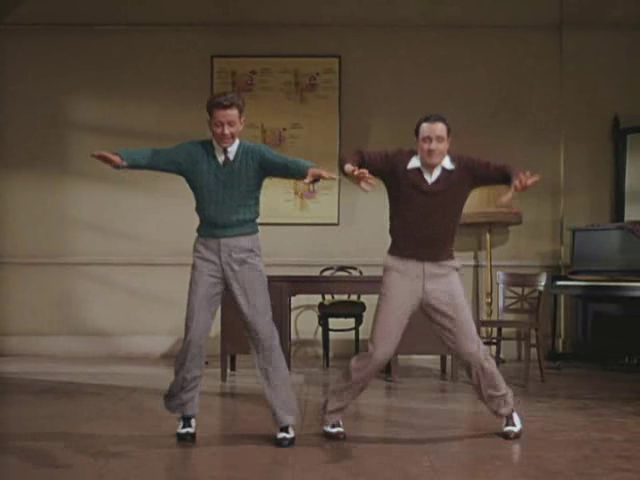 Peary accurately argues that the “musical numbers are all outstanding, with Kelly, [Donald] O’Connor [as Kelly’s friend], and Reynolds displaying amazing athletic dancing skills”. He points out that some “unforgettable highlights include the three dancing on furniture and singing ‘Good Morning’; O’Connor running up walls and flipping during ‘Make ‘Em Laugh'” (an astonishing number no matter how many times you’ve seen it! 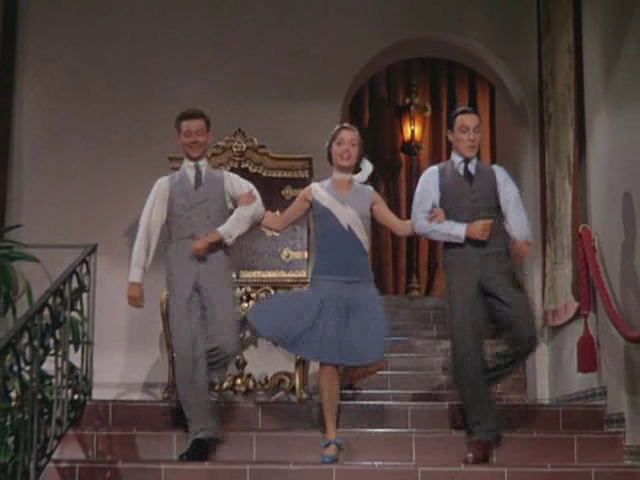 ); “the ‘Broadway Rhythm’ number, especially when Kelly and Cyd Charisse perform a dreamlike ballet; and the [incomparable] title number, which has Kelly happily dancing through puddles”. 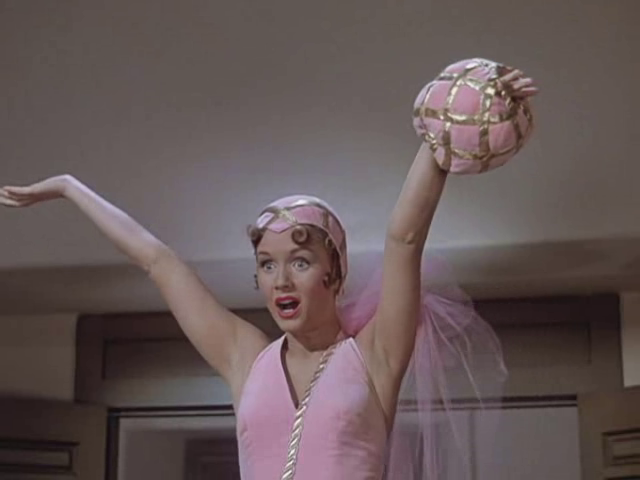 Peary notes that “in the film’s great[est] moment, the camera moves directly over Kelly’s beaming face for a close-up just as he sings ‘There’s a smile on my face’.” In his Cult Movies book, he lists several other musical highlights; a personal favorite is “Don and Cosmo [O’Connor] bewildering their diction teacher with some tongue twisters and flying feet in the ‘Moses’ number” (I’d forgotten how fun that one is!). Meanwhile, Peary writes that “the scenes without music are [also] delightful”, and in Cult Movies he points out some specific ones: “Don’s [Kelly’s] hilarious movie stunts which somehow he survives; the knife-in-the-back squabbling between Don and Lina [Hagen]; Lina’s unsuccessful diction lessons, where she can’t learn to properly pronounce the letter a in the phrase ‘I can’t stand it’; the fascinating film at [a producer’s] party in which a weird man explains the ‘sound film’; the many humorous incidents with microphones; [and] the finale…”. I agree that each of these scenes or sequences are gems — masterfully written, directed, and acted; indeed, the entire fast-paced screenplay is “delightful movie fare”, as Peary writes. In his Alternate Oscars (where he votes the film Best Picture of the Year), Peary nominates Kelly as one of the Best Actors of the Year, and Reynolds as one of the Best Actresses (in Cult Movies he writes “how absolutely great, how bubbly, how vivacious she is!”). 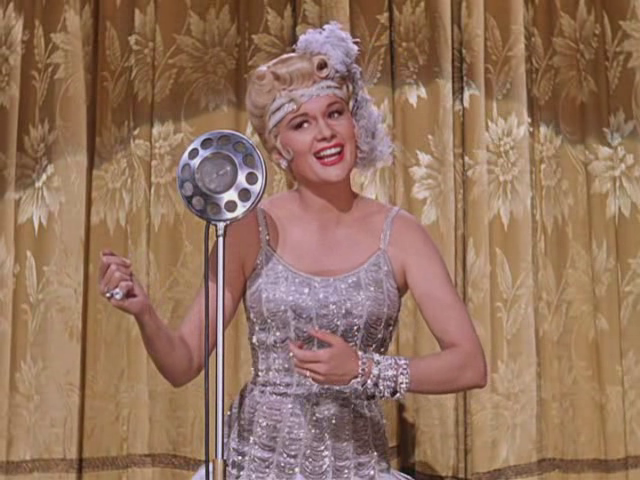 However, he rightfully acknowledges that Kelly “allows Jean Hagen ample opportunity to walk away with acting honors” — indeed, while her role is perhaps not quite large enough to be considered in the “Best Actress” category, you could argue that her consistently hilarious, memorable performance plays an enormous part in the film’s overall success. 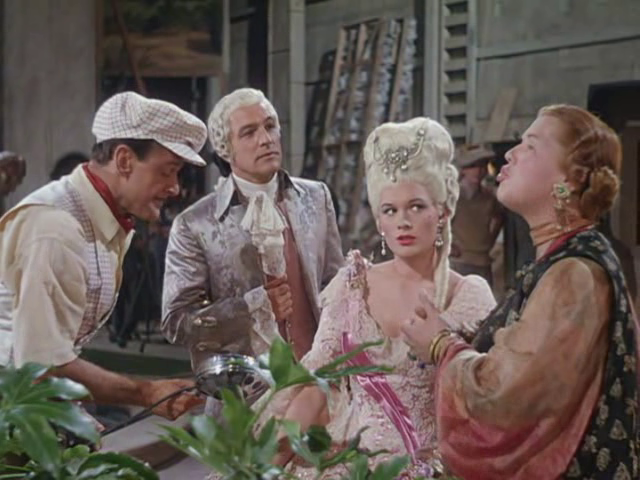 Peary writes that “from this picture, we see that Hagen was never allowed the chance to be the fine comedienne… she was obviously capable of being”, and credits “Kelly, the star, the codirector, [for] willingly shar[ing] his picture with his costars.” He argues that “it is not by mere chance that Reynolds, O’Connor, and Hagen have never been better” — and one can’t help agreeing. A no-brainer must – absolute HEAVEN! As wonderful as ‘SITR’ is, ‘The Band Wagon’ remains my all-time favorite musical (probably because I relate to it more and find it more sophisticated in terms of story). That said, if viewers (or ffs) never see another movie musical ever (although that would never happen, of course), then ‘SITR’ is the ONE to see…because, as noted, it does indeed contain everything a musical could want to have – and much more! It also runs like a locomotive and tends to be over before you know it! ‘SITR’ has now been released in Blu-ray – and that alone is cause for celebration. I am still rather new to the Blu-ray process – and, quite frankly, just because you see a film in Blu-ray, that doesn’t mean you are necessarily experiencing a film all that differently. Apparently all depends on how the process is used. I’ve already seen a number of Blu-ray editions which simply look like wonderful prints without being particularly elevated experiences. 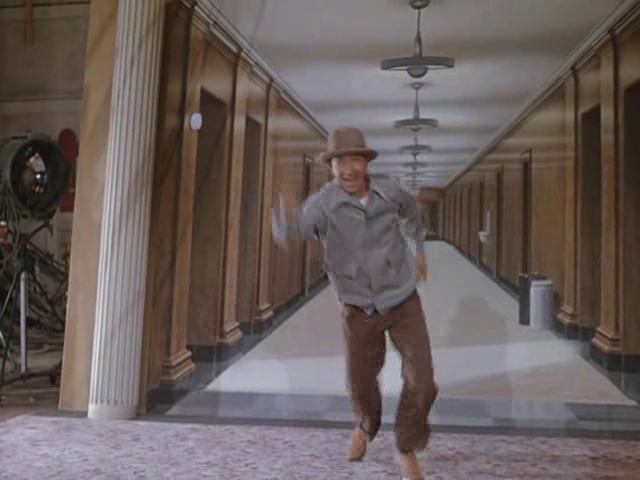 That’s not the case with ‘SITR’ – it is GORGEOUS in Blu-ray and should, if possible, be seen in that format first.